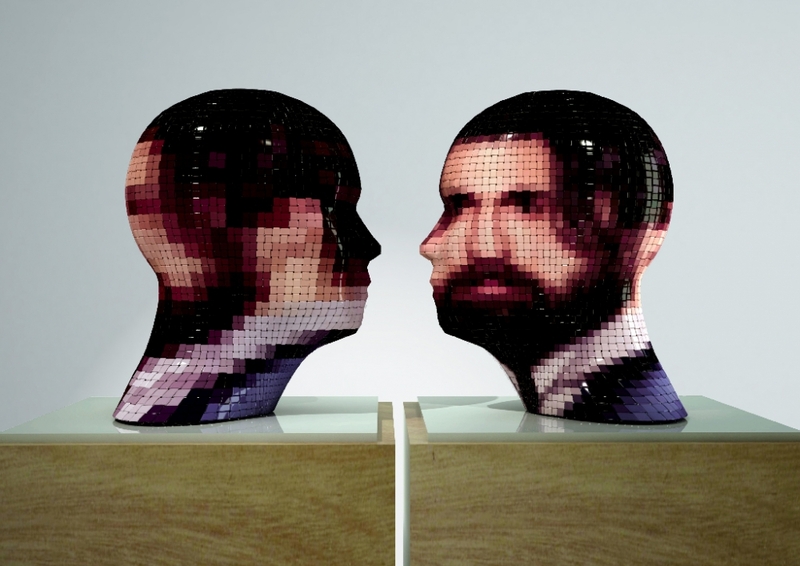 The contemporary value of the digital image and its unit of measurement, the pixels have inspired this new sculpture. I wanted to highlight the difference between low-and high image resolution and the power that the digital image has on the perception of the human eye. Inviato su ARTWORKS, Portrait 360Tag art, digital, high, images, intertwined, low, paper, resolution, sculptures, warp, weftBookmark the permalink.